Have you been looking for a fun, natural way to introduce science into your curriculum? Try music! 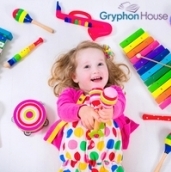 Children and infants are surrounded by music every day and respond enthusiastically to it. 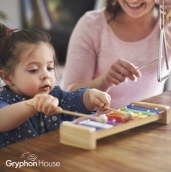 Family members and caregivers hum to calm babies and help them sleep, older babies are fascinated by banging objects together to make sound, and children watch TV shows with catchy tunes. 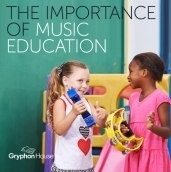 Music and learning go hand in hand. 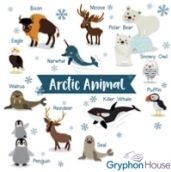 We incorporate music into the classroom every day with welcome chants, sound experiments, and songs that help us remember the alphabet and constitution. 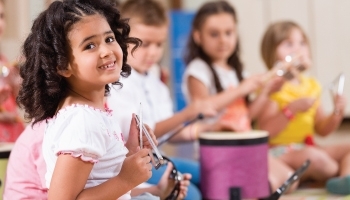 In fact, music is so important to learning that March is National Music in Our Schools Month! 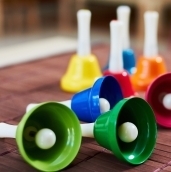 Lesson Plan Idea: Seeing Sound! Children are fascinated by sounds. Whether it’s when a horn honks outside, or when an ever-alluring sound-oriented toy is around! 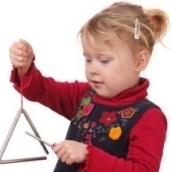 It is therefore no surprise that children are curious about the science of sounds. How does that car’s horn make noise? Why are some sounds low and other ones high? What makes music so pleasant? And most importantly, how does sound work since we can’t see it? Music is a part of everyday life, but it’s also science! Music activities naturally bring out children’s scientific curiosity and helps develop scientific thinking as they ask questions like: “why do certain instruments make certain noises?” or “what does my heart sound like?” Science activities for kids are a fun way for children to engage in unfamiliar science concepts and build skills like observation and problem-solving. Brand new and packed with sound science projects, Exploring the Science of Sounds, gives parents and teachers easy science experiment ideas they can try at home or in the classroom. 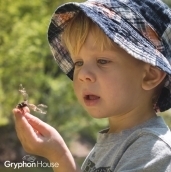 Bugs are a great way to introduce outdoor activities for preschoolers to your little learners. 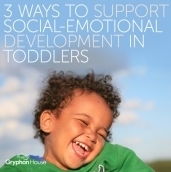 Toddler outdoor activities let kids explore the world around them all while practicing observation, investigation, and problem solving skills. Science for kids is the perfect way to introduce science concepts to children through fun activities that nurture children’s natural sense of curiosity. 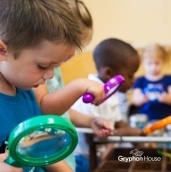 Running out of preschool science activities to explore with your students? 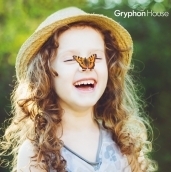 The life cycle of a butterfly is a wonderful topic for young children to learn about, in turn helping develop their observation skills and understanding of sequence. 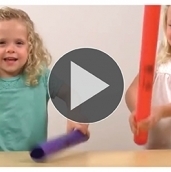 Shaking instruments are a fun addition to any movement and music activities you introduce to your little learners! 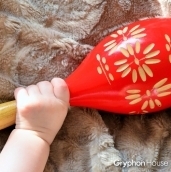 Easy to make at home or school, DIY maracas are a wonderful craft that helps children develop their sensory skills through play.